Aside from Netbeans, an SSH client and a good text editor, a good database manager always comes in handy when developing apps. I’ve been using HeidiSQL previously to manage my MySQL databases when my laptop was on XP, in its current incarnation as a Fedora 15 development machine, I’ve been hard pressed looking for an alternative, HeidiSQL on Wine is simply unusable. I had to content myself with MySQL’s WorkBench Tool. WorkBench is free but I find the interface clunky. Then I ran into DBeaver, its a Java app that has the familiar interface of HeidiSQL with the added difference that it works across platforms (of course). 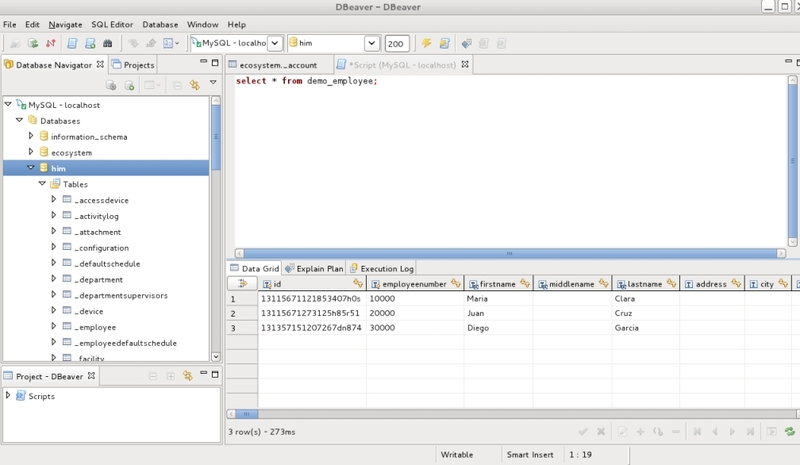 Plus, unlike HeidiSQL which can only connect to MySQL (although I understand there’s work in making it work for MS SQL too), DBeaver can also connect to other popular RDBMS: Oracle, Cache, DB2, Firebird, Derby, H2, HSQLDB, MS SQL, Postgres, Sybase, SQLite etc. Type in ‘DBeaver’ (or any name for that matter) click on ‘Browse’ and go to the /home/<username>/dbeaver directory and double click on the dbeaver file. To replace the default icon, you can click on the icon link of the create launcher window and select the file /home/<username>/dbeaver/icon.xpm. That’s it. When using Linux – Emma is also a good alternative to HeidiSQL, Furthermore HeidiSQL might still be used combined with Wine. my adventures with JACAL – Java, the Cloud and Linux.